Flat Roman Shades w/ Stripe Pattern - by Exciting Windows! Complete your master sanctuary with a functional set of custom window treatments. 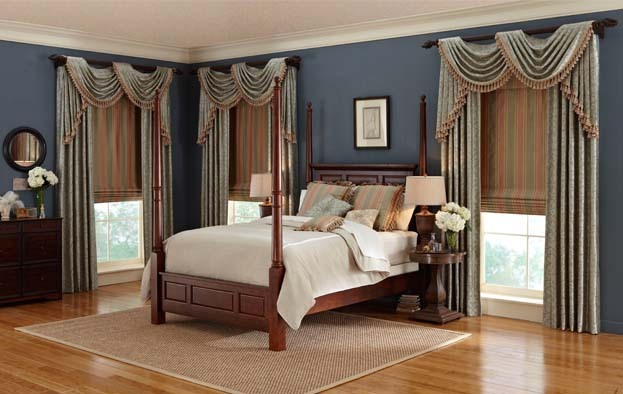 Add style by matching the fabric of these treatments with custom bedding. Many clients are wary of using multiple fabrics and layers, but when done well, like here, you can have a room you want to do more than sleep in (like finally reading that book!) Let us help you personalize your sanctuary today!